It's official! Fishers Indiana is a fantastic place to live! Read all the nice (and true!) 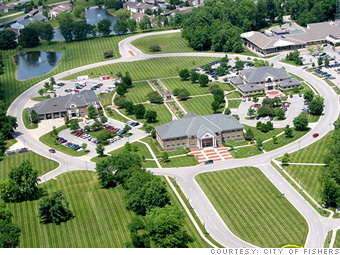 things Money magazine has to say about this popular Indianapolis suburb. Fishers is growing fast, attracting residents who are young (median age: 30) and smart (over 60% have a bachelor's degree or more). It has the range of pluses common among our top 10, including a strong economy (lots of life-science companies are moving in), low home prices ($149,700 for the typical house) and good schools (they get high rankings in the state). 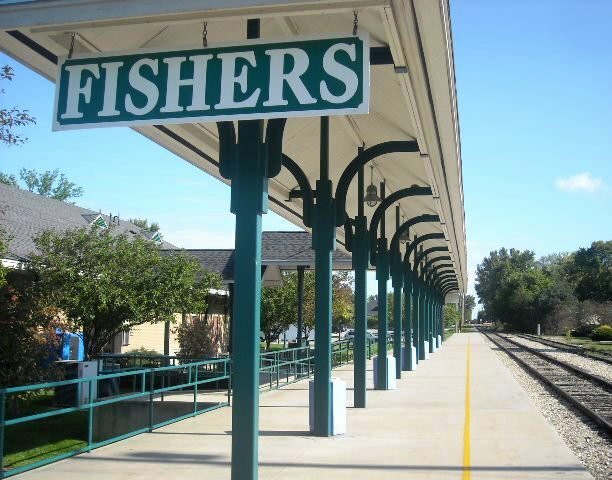 Though a walkable downtown is still in the planning stages, transportation is already here: Fishers started a commuter bus service to downtown Indianapolis and plans rapid transit via rail in the next two to five years. When it comes to smart planning and sheer livability, other places could learn a lot from this little city in the Midwest.